This article first appeared on East Niagara Post on October 28, 2014. It is repeated here as I work to put all my book reviews in one place. They will be posted on Thursdays and only be altered from the original in that I will add publisher information and pages. Hopefully, by revisiting these reviews, other people might find a book they'd like to pick up for their own enjoyment. I Am Abraham by Jerome Charyn is another piece of historical fiction from the Lockport Public Library that I just read. It may be the historian in me, but I really like to read books from this genre, though they need to be well done. Fortunately, this one is. 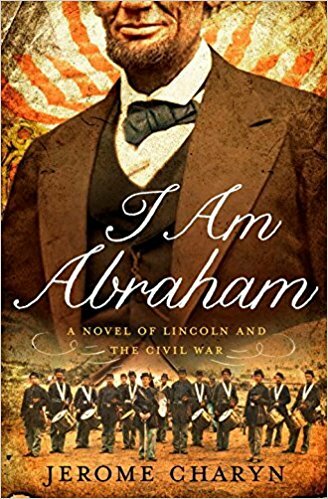 This book is the life of Abraham Lincoln as told from his point of view. Honest Abe speaks to the reader in a midwestern, folksie style that likely was his actual way of speaking. With his innate compassion, dry wit, and playful anecdotes, Lincoln describes every aspect of his life. While a piece of fiction, Charyn was constricted by the fact that so many books have been written about the life of our sixteenth President. Lincoln is presented with a self-deprecating humor and delivers to the reader a unique insight to his life. Was he truly self-conscious about his height, sunken pallor, and clumsiness? The President’s interactions with his various generals, particularly General McClellan, were awkward and often bordered on outright insubordination. While today, Lincoln is nearly universally revered as one of our most popular presidents, in his day, he was as equally vilified as he was revered. It is not much different today with current leaders. Lincoln’s often strained relationship with his wife, Mary Todd, is explored and shows a man who was devoted to his wife despite all the manners in which she grated on him. While he was an easy going country boy, Mary was a high class woman of the city. Their views of the world were often at odds. However, they both were enamoured with their children. His children were the light of his life. When son Willie died while they were living at the White House, Lincoln’s normal melancholy deepened even further. Chayrn captures the spirit with aplomb. He allows the readers to feel as if he or she actually knows the man despite 150 years separating them. All in all, Jerome Charyn delivers a masterful novel that recreates historical moments as if he had actually observed it, while bringing a whole new perspective on one of the most written subjects in American history. I enjoyed the flow with which the narrative was written. It was written as if the reader were holding an actual conversation with Lincoln himself. That makes it all that much more fun to read. Craig Bacon uses "gol-darned" when he gets REALLY upset. If he says "gee-wilikers" you better watch out.